Drøp feat. 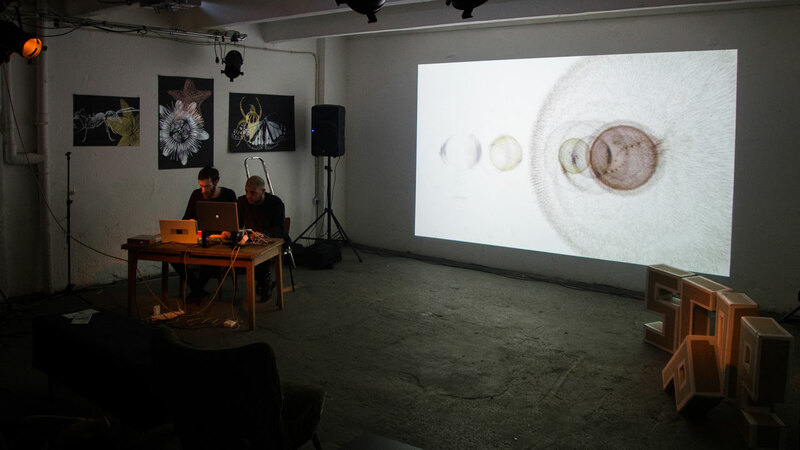 Fax @ UNRENDER / LEHRTER SIEBZEHN / BERLIN from CDM on Vimeo. 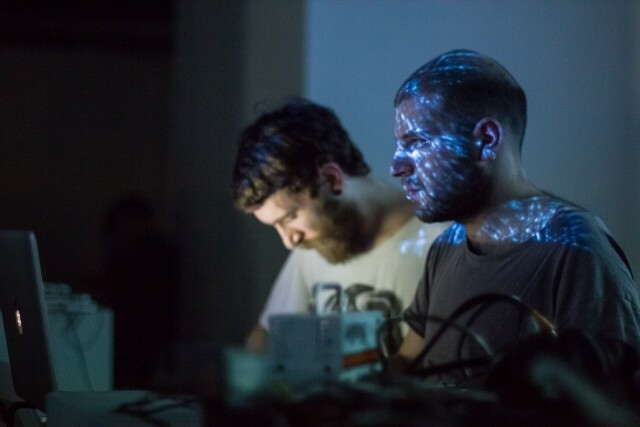 Crackling and vibrating, Drøp featuring Fax is an intense bath of sound and light, webs of lines materializing and dissolving in Fax’s visuals like microscopic alien thunderstorms. The duo played live at our first unrender session, and captivated our crowd with improvised abstract etudes. But while it may look generative, this is all done with clever manipulation of video clips – mixing disguised as algorithmic geometries. The collaboration was so tightly-knit that I was keen to hear more about how it came together. 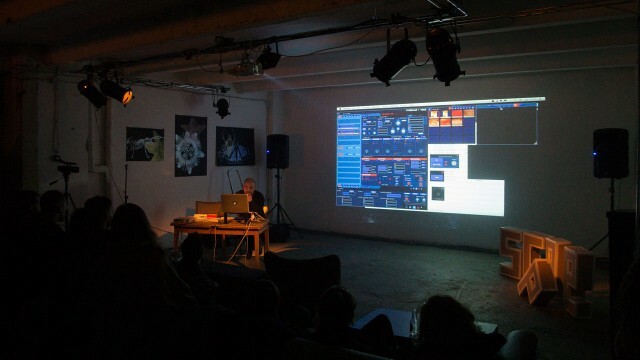 Fax presented not only at our Unrender series, but also for our friends at Scope Sessions – an international lecture series based in Berlin that acts as a hub for the visualist community based here and traveling through here. Here, we get to talk to Fax, aka Andrea Familari – also one of the organizers behind the epic Live Performers Meeting (LPM) gathering – about his work, his technique, and collaboration. How did you approach this work formally? Basically the issues were how to represent “the empty” in visual meaning, and how to create a flow that follows the sound’s source. The Empty is collectively and mathematically represented by an “Empty-set,” nothing more than a circle border with nothing in it, and this gradually became a sphere so that it could translate much more efficiently the spatiality of the sound. In this way, it was possible to obtain infinite 3D solutions, from traveling into spherical spaces to making the image of the sphere itself really accurately represent details of the sound frequencies. Drøp feat. Fax @ UNRENDER / LEHRTER SIEBZEHN / BERLIN from Arboretum on Vimeo. How do you think about rhythm and image? Rhythm and image are the core of my works. Since I started as VJ, I always wanted to follow the groove of the music rather than just setting a visual environment for the audience. Consequently, for this reason I very soon approached audio-generative visuals solutions where this connection is univocal and direct, no audio….no video. You’re working entire with Modul8 video clips and manipulating those? For this performance I use only Modul8. Approaching the sphere, I was looking for the right software that could allow me to have the widest creative space. It’s possible to work with it, and after analyzing Max/MSP Jitter and Processing, I just realized that Modul8 was the one I was more familiar with, and that it had good audio analysis. Through this, I am able to “draw” perfectly the difference between high frequencies, the tiny lines that create the sphere, and low frequencies, which increase the stroke and create a darker mood, or brighter into the second part of the performance, and to control all this parameters just with two MIDI controllers. The visual source is not a video clip, but rather a single photo for the whole performance, a macro picture of a root’s section, which I deconstruct and recreate live. I decided to work with a picture that could reveal hidden natural landscapes and be something real, already provided by nature — to use what you already have rather then generating it. 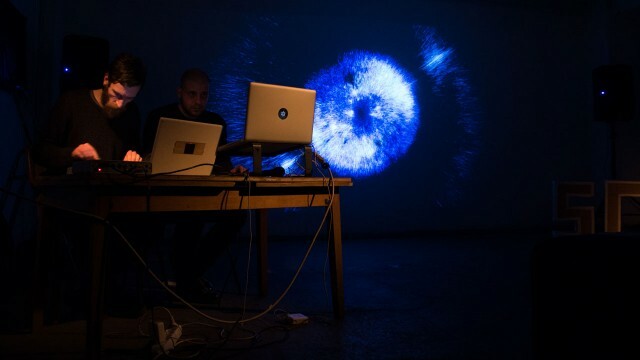 This is basically what is also behind our project Arboretum, the collaborating platform and record label founded with Marco Berardi (Mogano) and Giuseppe Bifulco (Drøp), an immersion into the hidden possibilities that nature and its energies have in terms of visual aesthetic composition, frequencies, geometries, and spiritual involvement. Moreover, the picture that the performance is built with is the same one used in the artwork of our first release on the label, Vasundhara Ep by Drøp. It was released on the 23 of April on vinyl. Drøp – Vasundhara EP Teaser from Arboretum on Vimeo. Is there any work in the scene now that inspires you? I appreciate the visual works of Franz Rosati, they are clear in their abstract shapes and he creates a tangible narrative every time – it’s never boring. His use of audio analysis is sometimes basic and other times complex. He is a reference point in the scene of generative art. I also follow Daniel Schwarz. I was charmed by the work Imposition, an audio-reactive mapping. The concept to divide the screen into multiple segment and put their different depths in front of the audience to create an other world. Moreover, I’m very surprised and intrigued by his return to Web art, using Google Maps to analyze and to compare the various landscapes of Earth (“juxtapose“). I won’t dwell on describing all the projects that have been indispensable in my evolution, but for sure visually I have to quote the works of Tarik Barri and MFO — milestones. Scope Session #29 – Andrea Familari aka FAX from SCOPE SESSIONS on Vimeo.